Demand of paper and paperboard is growing and resources are not sufficient for the requirements. The world demand for paper and paperboard is estimated to reach 490 million tonnes by the year 2020, which is an average growth rate of 2.8% per annum. Traditionally, pulp and paper industry is largely depended on the native hardwood resources. As per Jaakko Poyry predictions, the global pulp demand exceeds 460 million tones per annum and only 215 million tonnes per annum would be supported by the forest or hardwood resources. However, the increasing demand for fiber and the limited availability of additional forest resources made the industry to look out at different fiber options for raw material that includes agricultural residues such as wheat, rye, oat, barley, and rice straws or sugarcane bagasse, bamboo, cotton flax, hemp, hesperaloe, non-cereal straws such as red fescue or rye grasses, and kenaf. 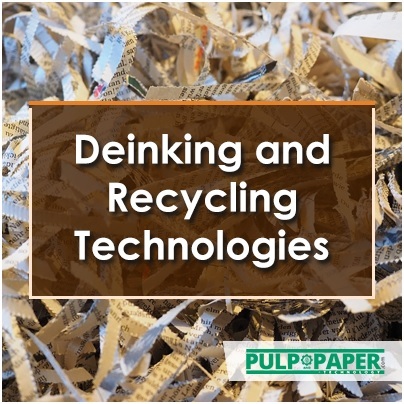 Globally, 9% of paper fiber comes from fibers other than wood and bagasse pulping has been attracting the pulp and paper industry’s more interests these days. Bagasse has been a rich source for cogeneration in sugarcane industries as well as in other sectors. The leftover residue after crushing and processing of sugar cane to remove the sugar juice is bagasse and having 1.0-1.5mm length and ca20 micron diameter that is similar to hardwoods like eucalyptus of 0.7-1.3mm by 20-30 micron. Hence, bagasse pulps can be produced of similar quality to pulp from hardwoods with suitable manufacturing processes. While in pulp and paper industry, a mill based on bagasse could be developed quickly without the constraints relatively to the lead times imposed by a wood based mill. Bagasse features require different treatment compared to general processing of wood chips. » Storage of bagasse for longer periods leads it to biological action that can rapidly lead the material to severe color degradation, yield loss and degradation of fiber properties. So, special methods of storage are in demand. » Pith cells in bagasse are 30% to 35%, which makes the material fine, thin walled, low cellulose content cells and do not produce papermaking fiber. 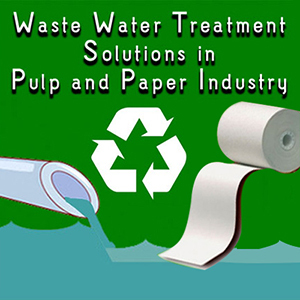 However, effective depithing is possible, in which pith cells consume large quantities of chemicals, results in a poor draining pulp and reduce scattering power in mechanical pulps. » Silica in bagasse is quite low relatively to many other non-wood fiber sources. However, silica content at 0.5% is twenty times higher than eucalyptus and it should be controlled while depithing to preserve the life span of refining disks. » In Chemical recovery of bagasse silica is a major issue. Commercially, bagasse is used to produce chemical, semi-chemical and several other types of mechanical pulp in both bleached and unbleached forms. Refined material: Many of the non-wood fibers are similar to the short fiber hardwoods and other regular pulps are so long that they must be shortened to optimize their papermaking value. There is a wide variation in the fiber characteristics of non-wood fibers compared to regular hard wood pulp for paper making. Since, the diameter of the non-wood fiber is small and results in lower coarseness. The potential usefulness of these fiber dimensions provides ideas in pulp and papermaking. Printability: The treated bagasse fiber has lower tensile index and burst index with higher bulk, tear index, and opacity compared to the untreated bagasse. So, the higher bulk and opacity improves paper’s printability, while the strength properties were still acceptable when the mass removal was about 10-15%. Viscosity: Bagasse’s viscosity is higher than regular pulp and the treated bagasse is easy to pulp and the much lower kappa number needs less bleaching. Low Complexity: The simplicity of recovery and the lower silicon content in bagasse made the process infrastructure requirement becomes simpler and so there is no requirement for a complex and expensive recovery boiler and lime kiln. There is a need of advanced or custom manufacturing infrastructure for bagasse kind non-wood fibers processing. Though, industries oversee the special requirements and use the same infrastructure during the season of bagasse, there is a strong scope for advancements and the un-tapped market in this area. The special requirements for bagasse processing mainly stand at various stages and purposes. Many companies are equipped with machinery that can be used for bagasse and other non-wood fibers. Vincent Corporation, Florida has been active since many decades in the area of fish processing and conversion of forage crops and sugar cane bagasse. Its advanced technology is able to keep the manufacturing on all through the year, by using wood as well as non-wood fibers. Voith GmbH has started world’s most modern bagasse paper mill that has been running successfully. It has been producing a high quality graphic paper from bagasse, which is a very difficult raw material to prepare and process. Voith Paper is recognized as a comprehensive supplier worldwide of this technology that covers both stock preparation and paper machinery. The reference plants using the same technology for bagasse furnish are operating in India, Indonesia, Bangladesh, Iraq and Pakistan. On a Voith Paper line, the Tamil Nadu Newsprint and Papers Ltd. have been commercially producing newsprint from bagasse in India since 1996. 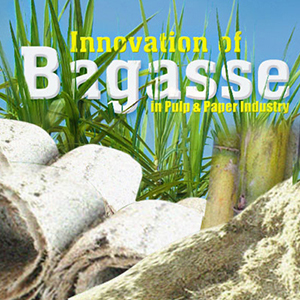 In the history of newsprint production, this was the first time that 100% bagasse had ever been used as raw material. Since the starting of Quena project, the full advantage of the experience was gained in India. Storage Techniques: Special storage equipment and techniques are required to make the processed and non-processed bagasse available during the non-season. In order to decrease the disadvantage of seasonality feature and maintain a constant production a large storage capacity must be developed. However, the challenge still lies in managing the storage of bagasse because of its high in volume and low in density when compared with wood. The circumstances that need to be taken in control vary from individual site and the receiving site. Machines need to be intelligent enough to work with wood as well as non wood fibres to avoid the loss during the processing of non wood fibres. This bioprocess resulted in a 50% saving in energy consumption required for paper pulp refining, compared with that recorded for refining pulp from bagasse not biologically treated. Another benefit came in the form of a 35% improvement in the paper’s mechanical characteristics (tensile strength and tear resistance) without appreciable loss of material. As the traditional pulp resources exhausts, the more demand rises for non-wood fibres.